Admit it. There’s 5 days left until Christmas 2016 and you’re starting to sweat because you haven’t even started shopping for gifts yet. Fear not. We’ve compiled this list of 6 gifts that will please any foodie on your gift list. You’ve officially missed the last shipping dates for your gifts arrive before Christmas. The best part with these tours is that you can purchase them online and the tickets go immediately to your inbox. 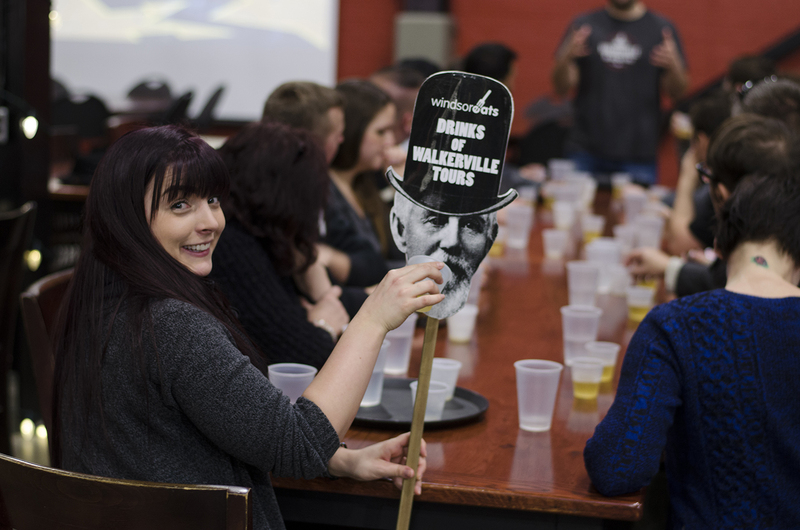 If the food lover you’re buying for is a walker, the Drinks of Walkerville tour is the perfect gift. 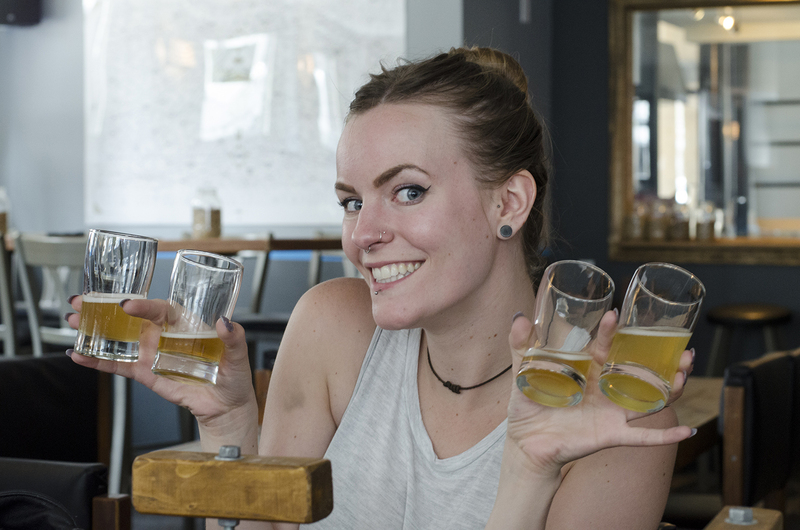 Named an Ontario Signature Experience, our Drinks of Walkerville tour lets you taste the thirst quenching history of Canada’s southernmost city. Windsor has a vibrant and colourful history along an international border that many know little about. Learn all about a history of smuggling and gangsters during prohibition from a uniquely Canadian perspective. Stroll through historic Old Walkerville, the town that Canadian Club built. Your brain gets thirsty, too, so along the way learn about the architecture and a few well known, and not so well known, tales and folklore of the neighbourhood. Heck, even Al Capone visited during the good ol’ rum running days. You can touch a bullet hole purported to have been shot by Al himself, too! Looking to get out on some wheels? How about sending them off via bicycle? 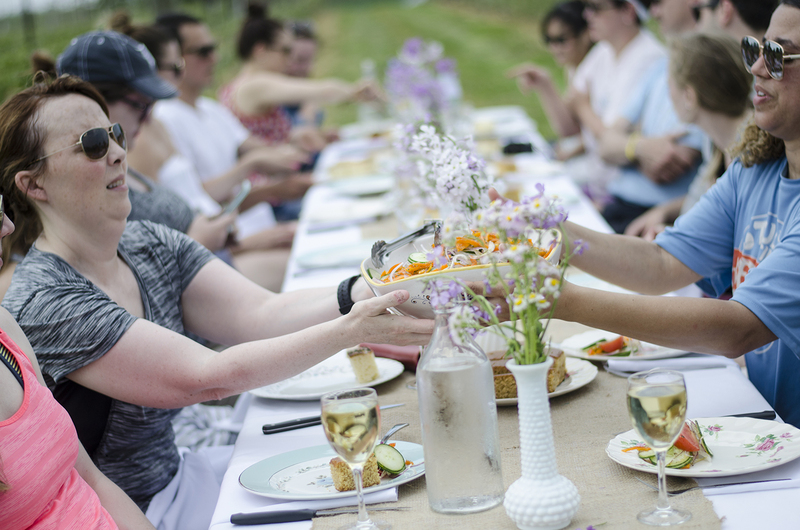 Guests on the award-winning Wine Trail Ride enjoy a scenic ride a la bicyclette to Essex Pelee Island Coast wineries for tastings and tours and enjoy a farm-to-fork long table meal at the final stop. If they’re more into beer, the Bikes & Beers cycling tours are probably more up their alley. There’s no better way to explore Windsor’s craft breweries and pubs than by bike, one beer at a time. They’ll cycle their way through the city, stopping at local pubs and breweries and sampling suds and grub. Who said McFly was the only one that could go back in time? Now forget about walking or getting on a bike. How about hopping on a bus? 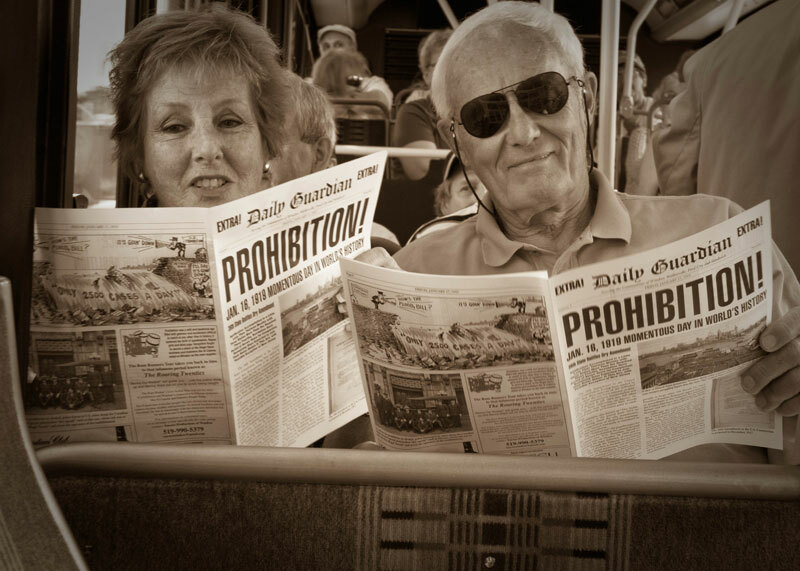 The Rum Runners tour is rated one of the best in Windsor on TripAdvisor, and who can argue? With dancers, singers, gangsters and more, it’s an interactive walk through time to experience prohibition and the Roaring Twenties. Grape Vine Tours offers intimate tours to the Windsor-Essex wine country. This is perfect for that romantic date as they’ll pick up groups as few as two. You will be toured to 4 or more outstanding wineries sampling each winery’s award winning wines. They also offer distillery and brewery tours. 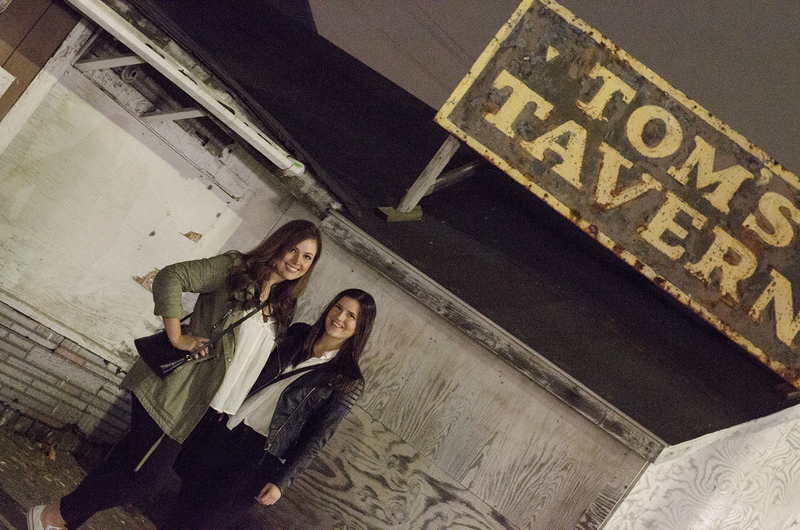 Tom’s Tavern: one of the 8 grittiest dive bars in America. If you’re looking to head across the border, the D-Tour is one heck of a time. This pub crawl by bus allow easy access for you to visit some iconic local hangouts in Detroit without the need to drive, allowing you time to focus on a good time. You’ll travel magic school bus style to some of the Motor City’s hidden and not-so-hidden gems.